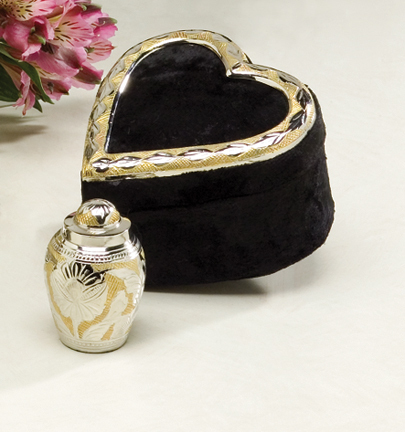 Cast brass with delicate hand-carved motifs make this a truly elegant keepsake. High-gloss lacquer coat, felt padded bottoms. Velvet presentation box is included. Not engravable.